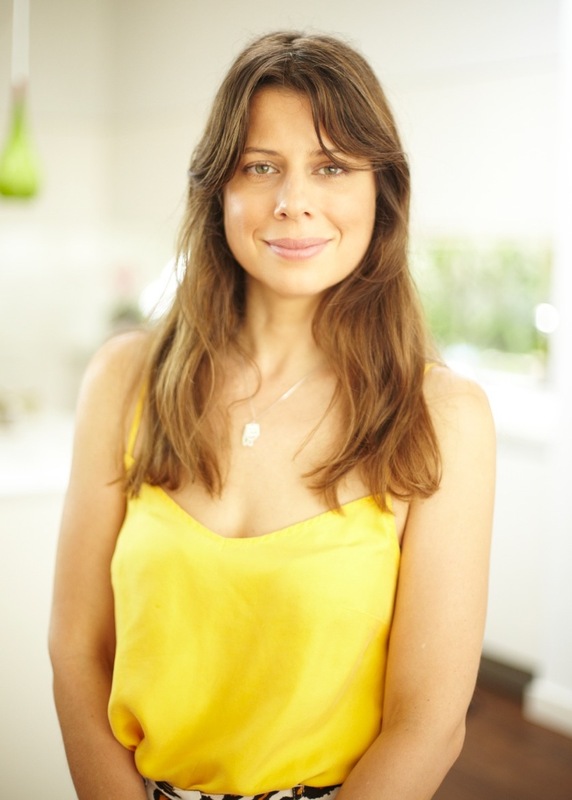 Carla Oates is a former beauty editor who stepped away from the computer to deliver her message on natural food and products via books, blogs and beauty products. The result is The Beauty Chef – and one inspired, inspiring Bondi-based powerhouse. TUL: Who is the Beauty Chef and what does she serve up? I'm a naturalist, chef, product designer and beauty and health expert who is passionate about working with nature to create products for optimum beauty and health from the inside out. TUL: Tell us about your products? I was working as a beauty editor about fifteen years ago and became concerned with the amount of toxic chemicals in skincare. I had always been interested in alternative/holistic health so I started researching the benefits of looking after your skin with clean ingredients, predominantly super active plant compounds that rejuvenate the skin from the inside, out. I made the decision to write only about natural and organic health and beauty and delve into more researching and formulating organic products to offer women healthier options. I was offered a book deal with Penguin and wrote Feeding Your Skin and began formulating recipes and products. The Beauty Chef believes that good skin begins in your gut. Natural, active skincare follows. TUL: What do you aim to provide with both your website and your products? Firstly education; providing insight into ways to become healthier by embracing the genius of nature, and then to provide people with beautiful, organic and powerful products and recipes to boost their health and beauty naturally. TUL: What's the best part of your job? It really is the perfect job for me – a combination of science, and design; two of my passions. Researching, experimenting and making things – it's the best of both worlds. I spend a lot of time making concoctions and thinking about the alchemy of ingredients and how I can enhance their benefits or nutritional potential using natural biological processes. It is lots of fun! TUL: What do you love about working in and basing yourself out of Bondi? I have lived in Bondi since I was around sixteen, but spent a lot of my childhood here too, so I have a very deep connection to Bondi and lots of great memories. Bondi was very different back then; it was a very small, mixed artistic community and everyone was very close. It has changed dramatically, but the beach remains this big reservoir of goodness; the sea air, the salt water. TUL: What are your tips for cleansing and staying healthy as we head out of summer? Eat a variety of anti-oxidant rich foods (and lots of them), drink lots of clean water, take The Beauty Chef DETOX powder for the transition of the seasons, and move your body! Hard one but probably The Health Emporium (it's my local). Lox Stock & Barrel in Bondi, The Grounds of Alexandria, or Cornersmith in Marrickville. TUL: Best way to spend $50 in Sydney? Ferry ride on Sydney Harbour to Cockatoo Island for a mocktail or cocktail. TUL: Best way to spend $500? A show at the Opera House, prefaced or followed by a nice dinner. Perfection Hand Made Chocolates, Organic Times chocolate-coated nuts, or a good bottle of Mornington Peninsula Pinot Noir. Movida or Attica in Melbourne. Gardel's Bar at Porteno restaurant in Surry Hills or Love Tilly Devine. Paul McNeil, Ildiko Kovacs, and Josh Yeldam. TUL: Best childhood memory and do you ever revisit it? Long bush walks in Mittagong and Wyangala with my aunty and we'd pretend to be Mike and Mal from the Leyland Brothers. We even mimicked their voices. It would be hilarious for us to re-visit that now! The Organic Republic Bakery in Bondi do a mean chai. TUL: Best way to while away a lazy Sunday? Cook yummy food and share it with those you love, do the SMH crossword, gardening and going for a coastal stroll. With a writing career that has spanned nearly two decades across beauty, health, celebrity and lifestyle features for various glossy magazines and daily blogs, Emma Bangay is happiest when serving up every smokin’ style sensation, beauty breakthrough and fitness destination her beloved Melbourne has to offer.